In the 1890s Methodist meetings were held in a frame building near West Fifth Avenue and North Star Road. John L. Miller owned the land and hoped to develop it into a subdivision. In 1913, the church moved to Ashland Avenue in Grandview Heights. In 1919, the church changed its name from Trinity M.E. Church to Grandview Methodist Church. In 1951, the congregation built a new building on the southwest corner of Cambridge Boulevard and Fifth Avenue, and the name Trinity Methodist Church was readopted. 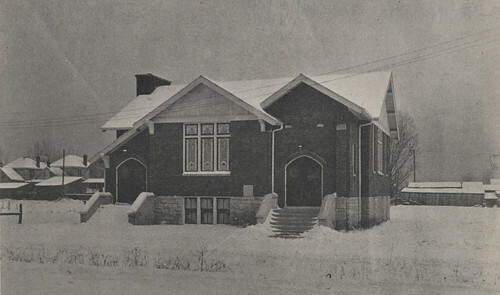 The Reverend W. C. Graham oversaw the construction of the church building located on West First and Ashland Avenue pictured here. It was dedicated on December 25, 1915. He was replaced as pastor in 1916 by Reverend B. F. Jackson, a graduate of Ohio Wesleyan University and the Boston School of Theology.